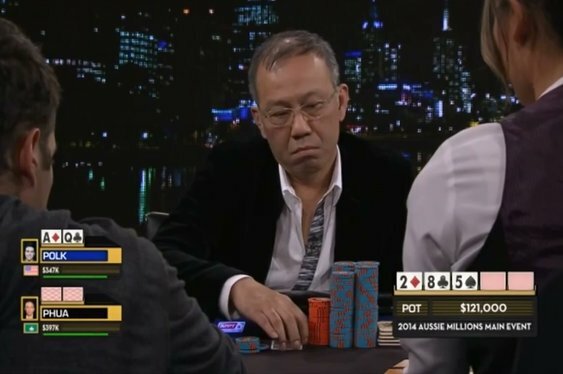 High stakes poker player and multi-millionaire businessman Paul Phua is finally in the clear after battling with the FBI. Back in 2014 the Malaysian gambler was arrested in Las Vegas and charged with running an illegal online sports betting operation worth hundreds of millions of dollars. Along with a group of associates, Phua was held in jail before being bailed to appear in court. Throughout the lengthy case a number of accusations and counterclaims were made against Phua, one of which being his role as a security advisor to the Malaysian government (something later disputed), but the poker enthusiast maintained his innocence. In fact, even after some of his associates pleaded guilty to lesser charges, Phua fought the case and, just a few weeks ago, US District Judge Andrew Gordon ruled that the majority of the FBI's evidence must be dismissed because it was obtained illegally. Staging a fake computer maintenance routine in order to gain access to Phua's luxury villas inside Caesars Palace was the key to the millionaire's success and the undoing of the FBI's case. With the case now in tatters, Phua's legal team pushed for a resolution and earlier this week that resolution came after federal prosecutors said that they wouldn't appeal Judge Gordon's June 1 decision. In a statement to press, Nevada US Attorney Daniel Bogden explained that, while not happy with the decision, the FBI won't be seeking to reopen the case with an appeal. "We disagree with Judge Gordon’s decision for the reasons stated in our court filings; however, the government will not be appealing his decision to the Court of Appeals for the 9th Circuit," explained Bogden. With the controversy now over, Phua took flight for Asia on his $48 million private jet and will now be contemplating his next high stakes move.